Project HOPE or Health Opportunities for People Everywhere is an organization dedicated to providing sustainable medical solutions to people all across the globe. It was established in 1958. The long lasting solutions are provided by educating the people about the various facets of different medical problems, their cause, their treatments and ways of preventing them from occurring. Project HOPE, since its inception, has been working hard in order to make healthcare available to people all across the world. The key means of reaching that goal is to educate the health professionals and the community workers. The next feature on which the Project HOPE works tediously is to strengthen health facilities, especially in the backward areas. Their lifesaving services also include prevention and curing of diseases such as HIV/AIDS, TB and diabetes which, due to inadequate care and medicines which are killing thousands of people. The volunteers of Project HOPE also provide the requisite humanitarian assistance for curbing and fighting deadly diseases and enhancing the healthcare in backward regions and countries. The volunteer assistance, donated medicines as well as other medical supplies are the main sources of materials and resources for giving shape to their mission. The healthcare support, education and humanitarian assistance provided by Project HOPE has now reached more than 35 countries. They have been continuously working in different countries of all the continents, especially the ones which require special assistance and emergency care. Recently, the volunteers of Project HOPE have offered medical work and emergency relief to the numerous victims of the devastating earthquake that shook the nation. The dedication of the volunteers has resulted in some amount of relief for the affected people of the country and has also showed ray of hope for them. Project HOPE has also celebrated the World Humanitarian Day by honoring some of its finest volunteers. The Project HOPE strives to make the world a better place to live by providing healthcare solutions and facilities to people all around the world. Their main mission is to educate people to help themselves, thereby offering long lasting solutions to health related problems. Their mission is not just limited to this activity as they also provide medical training and health education to the professionals and volunteers alike. The humanitarian assistance programs provided by the Project HOPE have helped thousands of people during various natural calamities and emergencies in more than 35 countries. The world has been facing a large number of pressing health issues. The number of deadly diseases is on the rise, mostly in the poor and overpopulated third world countries. In such a scenario, the Project HOPE has been demonstrating dedication as well as ability to fight such diseases in the best possible manner. Since its inception in 1958, providing relief assistance and implementing health education programs in over 35 countries became their main mission. Their work has been spread over the last five decades in line with their mission. They have been able to develop and provide sustainable solutions to the healthcare needs by helping people to help themselves. Addressing the various health threats that come to the forefront from time to time, is one the missions of the Project HOPE and they remain committed in achieving that. They also forge new alliances with experienced healthcare professionals, discuss about the various facets of the threats and try to come out with long-term solutions. Hence, it can be said that achieving sustainable advancement in healthcare across the globe with the help of proper implementation of health education program, providing humanitarian assistance and combating new health threats are the main missions of the Project HOPE. They work day in and day out to meet the expectations of the needy. The history of the Project HOPE can be traced back to the Second World War. Dr. William B. Walsh, a medical officer on board was also a destroyer at the time of war. Walsh traveled numerous places including the South-Pacific region wherein he was stirred by the pathetic health conditions. He was terribly upset to see the suffering and deaths of children due to inadequate medical knowledge among the people. It was the lack of basic medical knowledge and its application which resulted in many those deaths. These sufferings led him to envision a mobile medical centre (floating hospital over water) which will educate people about various diseases and provide adequate medical care to the needy. A U.S. Navy hospital ship was donated to Dr. Walsh by the U.S. President Dwight D. Eisenhower in the year 1958. He started his mission with only $150, as it was his dream and support of friends and corporations which kept him going. 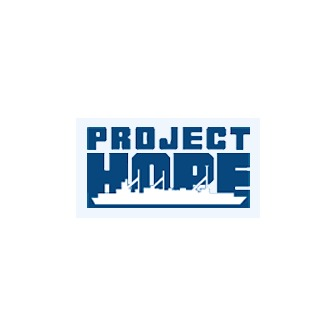 The birth of the organization 'Project HOPE' took place in that ship which was renamed as the SS HOPE. This mobile hospital saw a major overhaul during the next 2 years and was equipped to serve people better. Various nurses, doctors, and technologists were called on to share their own knowledge and skills in creating heath care awareness among the developing nations. Teaching with healing became the motto and every American aboard was required to teach simple medical knowledge and skills to his/her counterpart. It was on September 22, 1960 that the ship started sailing for its first mission from San Francisco to Indonesia. However, it had to stop its operations in the year 1974. Soon after, the Project HOPE transformed into a land-based organization with the same spirit of helping people with medical knowledge and humanitarian assistance. The Project HOPE continues to deliver their volunteers and donations in various countries.